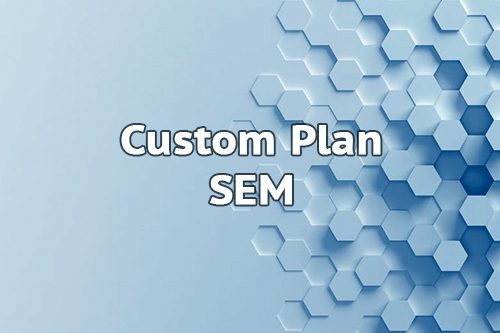 Custom Plan | SEM | Low Cost Web Agency manages your SEM for you. Ask us a quote if you have a special need to manage your SEM. Our manager is able to inform you about the feasibility of your project and the price! We make every effort to provide your quotation in the best time, in line with your description. In this way, we recommend you to be as clear as possible in your SEM request. Even custom one, our offers are still offering the same price rate. Feel free to get in touch with us… it’s our pleasure to work on your requests! Before presenting us your idea, please check if any of our SEM solutions doesn’t match with your need! What else, just contact us!